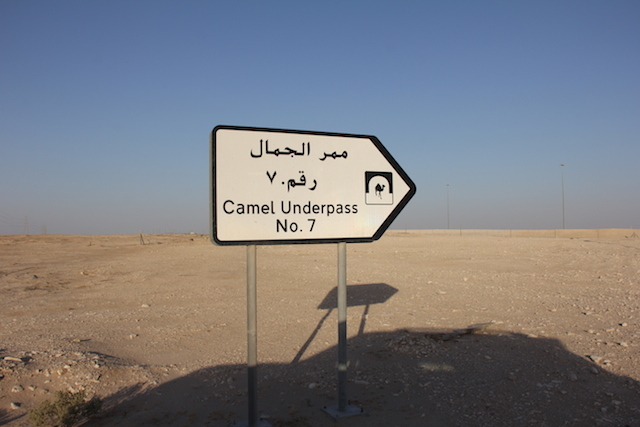 About an hour from Doha, across the Qatari peninsula in the Brouq Nature Reserve, the piece is an isolated destination. The trip to East-West/West-East requires an off-road vehicle and a GPS. 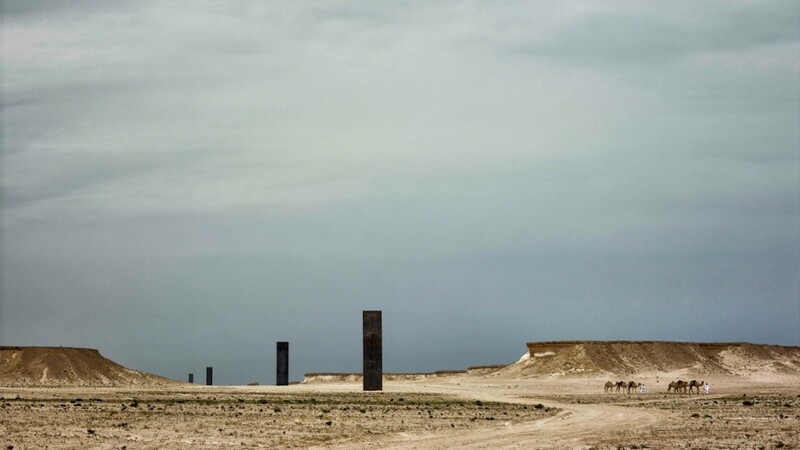 In a vast desert landscape, four vertical steel plates are aligned in a one-kilometer line between two plateaus, perpendicular to the horizon between them. They range in height from about 48 to 54 feet so that they are level with one another and with the topography. The pillars already have developed Serra’s characteristic rust patina, and the surface will often be too hot to touch in the desert where summer temperatures exceed 120F. With such height and mass, East-West/West-East is monolithic within the sublime landscape, and almost seems to be older than the crumbling cliffs around it. East-West/West-East and the aforementioned exhibition were commissioned by the Qatar Museums Authority. 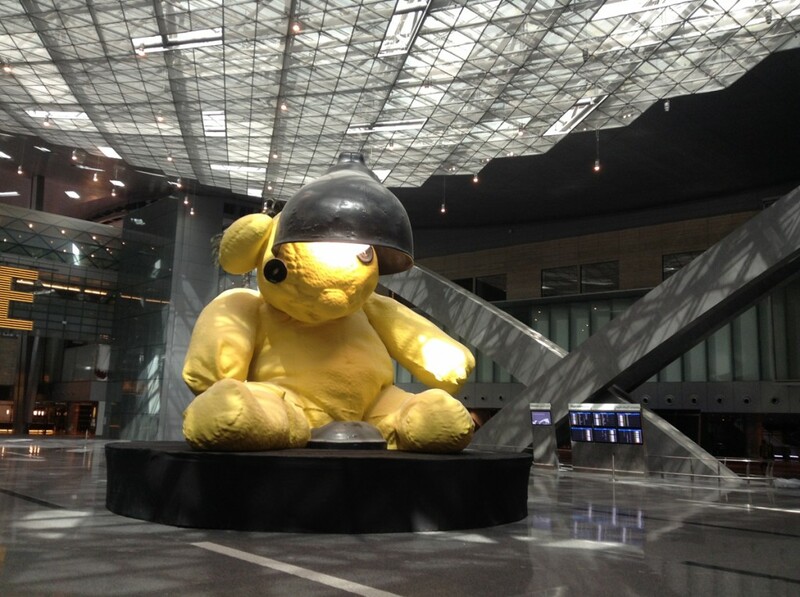 QMA was created in 2005 to direct Qatar’s museums and art collection, which are expanding at at incredible pace. Designed by I.M. Pei, the Museum of Islamic Art opened in 2008 with collections spanning twelve centuries and three continents. Mathaf: Arab Museum of Modern Art opened in 2010 with a collection of more than 6,000 works, and the National Museum of Qatar, designed by Jean Nouvel, is scheduled to open in late 2014. 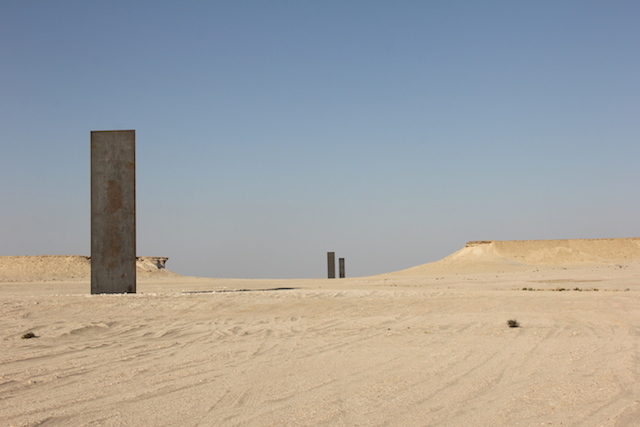 Under the leadership of Sheikha Al Mayassa Bint Hamad Bin Khalifa Al-Thani – sister of the current Emir of Qatar – QMA has commissioned public works by artists including Richard Serra, Louise Bourgeois, Damien Hirst, and Urs Fischer. It is estimated that QMA spends more than $1 billion on art acquisitions and new commissions each year.